Nigeria has a Matrimonial Causes Act to regulate divorce. However there are several marriage systems in Nigeria and each frequently take charge of their own procedures. In principle, divorce is on a ‘no fault’ basis although fault frequently appears to be used in argument. Proof of local marriage abroad often presents problems. The high incidence of ‘customary marriage’ and inconsistent attention to registration frequently leads to issues when parties are divorcing abroad. The Nigerian legal system does not make it easy for the economically weaker spouse to obtain a settlement. Because each party has property in their own right, there is no concept of matrimonial property as such. There are theoretical provisions for property adjustment and maintenance. However there are substantial difficulties in obtaining proper disclosure of assets, valuations of assets etc. Maintenance, when awarded, tends to be on a low scale. Similarly the Courts are reluctant to ‘pierce the corporate veil’. This is a significant problem where one party holds assets through corporate structures, and it is a reason why, where possible, parties choose alternative jurisdictions such as England. 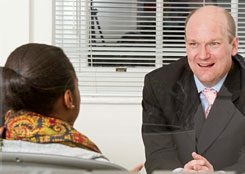 We are specialist international divorce lawyers and family solicitors and we advise clients who are either UK-based but originate from Nigeria, or are living outside of the UK but have a connection with England or Wales.